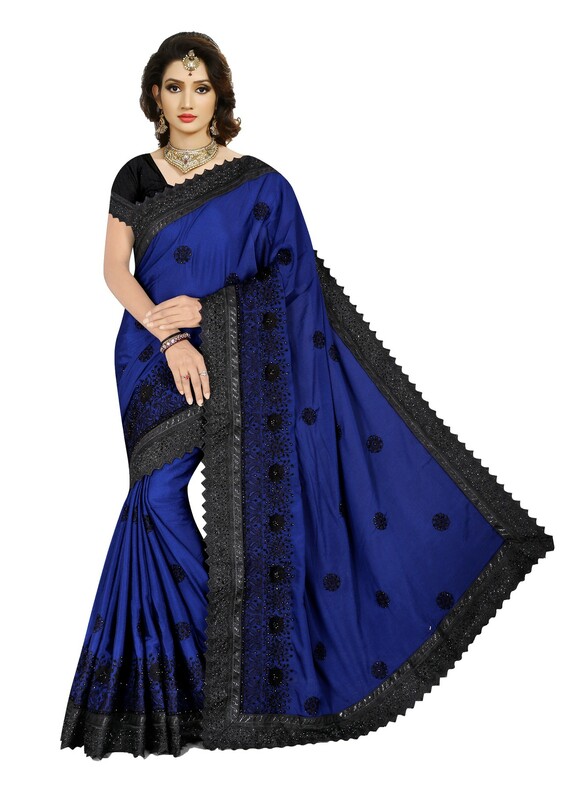 Navy Blue & Black colour soft cotton silk saree. Fashion and trend would be at the peak of your beauty as soon as you dresses this saree. Black lace border enhances sheer brilliance to the plain outfit. Fashion and trend would be at the peak of your beauty as soon as you dresses this saree.